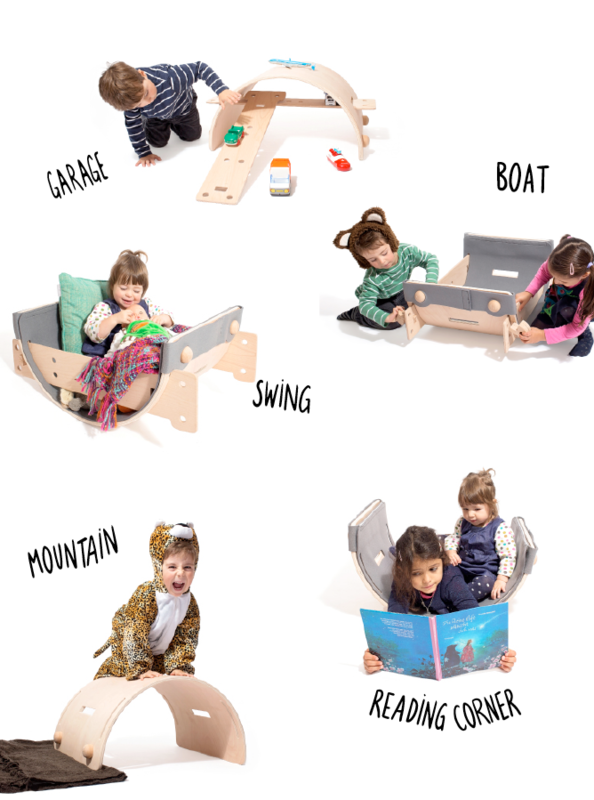 Nanuu encourages children to explore their own creative initiative through adaptable and playful options, fostering imaginative play without boundaries. 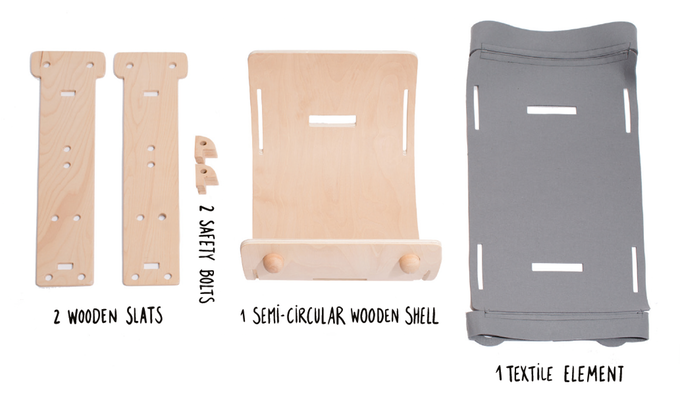 Nanuu transforms the art of play with simple shapes made of natural and high quality materials. A semi-circular wooden shell forms the foundation of the Nanuu universe. With changing positions and attachable elements, new worlds can be created. The soft felt cushion gives the children a feeling of cosiness and safety. The slotted boards inspire the child’s constructive drive. By attaching the textile element, the wooden slats or things they have created themselves children learn playfully how to combine and create. The game can be endlessly expanded upon by children and their parents. 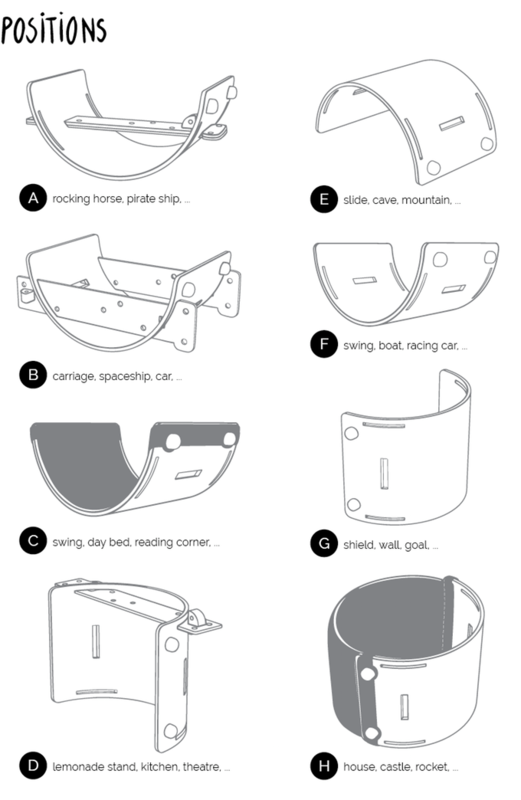 The design vocabulary of Nanuu was chosen specifically to engender imaginative play without boundaries. 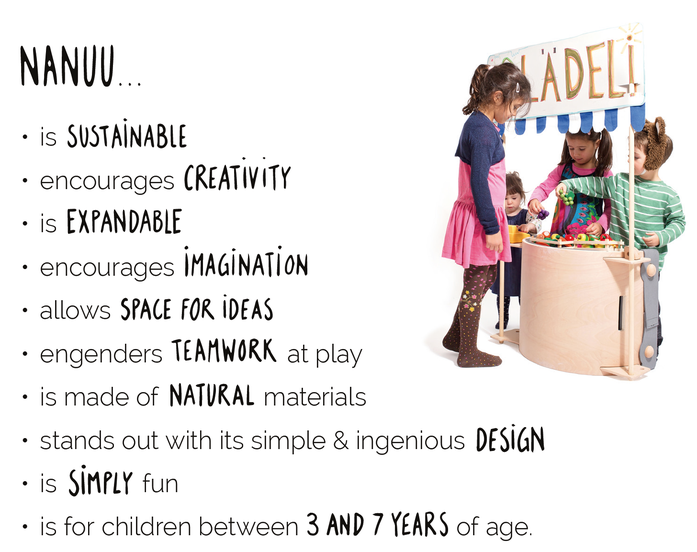 In addition to its diversity, Nanuu is characterised by its quality and sustainable materials and promises many years of fun and play. 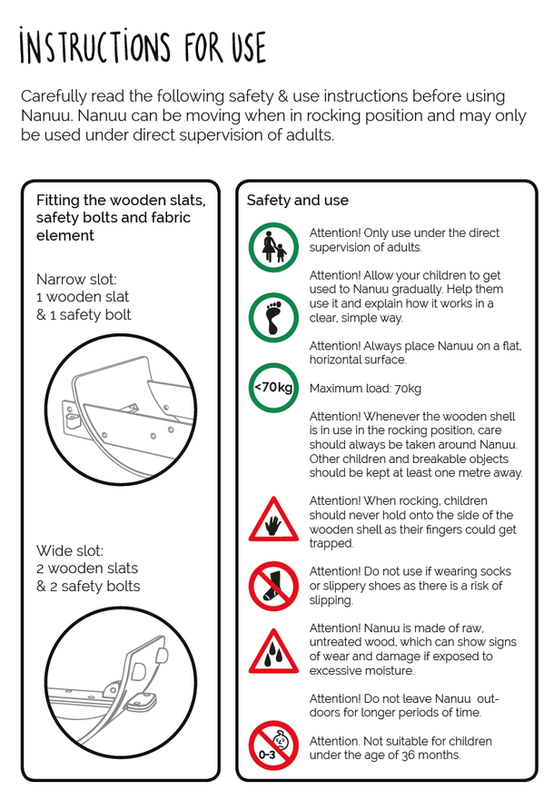 Nanuu is produced in an experienced manufactory in Germany. For Nanuu we use untreated, high quality PEFC-certified wood to maintain the natural look and feel of wood.